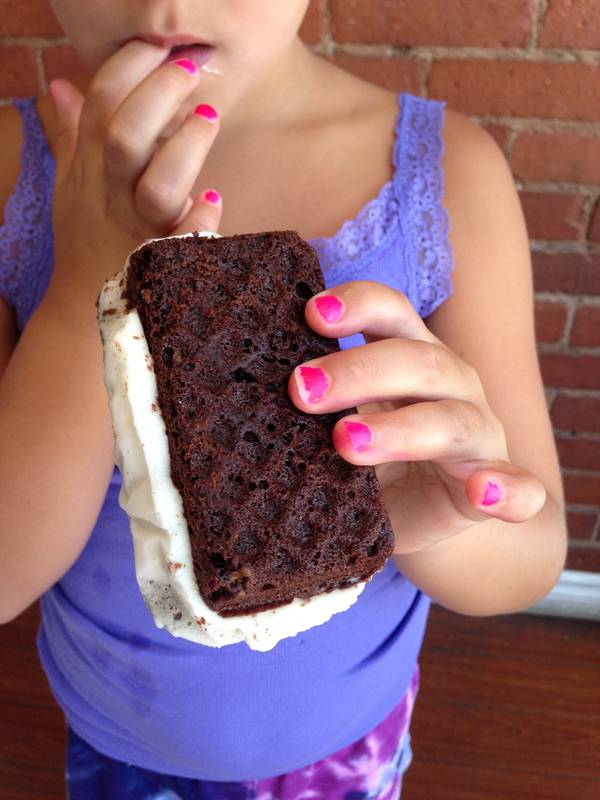 We all scream for ice-cream sammiches! One day last week Lily came home from camp feeling sad because it was ice-cream sandwich day. A few days earlier I had received a call from the camp director asking me if there was a gluten-free ice-cream sandwich that they could get for her so she could have what everyone else was eating. I told him about a brand I had heard about that we hadn’t tried yet and where he could pick them up. I felt grateful that he had called and I was happy that Lily wouldn’t feel left out. So why was she upset? She said that it wasn’t a real ice-cream sandwich, that the outside was hard and crumbly like a cookie instead of being soft like the other kids’ treats. She understood that the camp had gotten that ice-cream sandwich especially for her and she didn’t want to make anyone feel bad so she had wrapped it up and put it in her napsack. 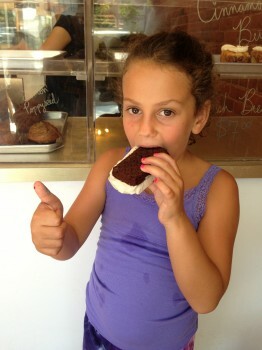 This is my seven-year-old gluten-free girl. A couple days later I’m trolling around on Facebook and up pops a post from Bunner’s Bake Shop with a pretty pic of what they called a “classic ice-cream sandwich” wrapped in tissue and tied with a ribbon—their latest vegan, gluten-free (re)creation, available on weekends only. 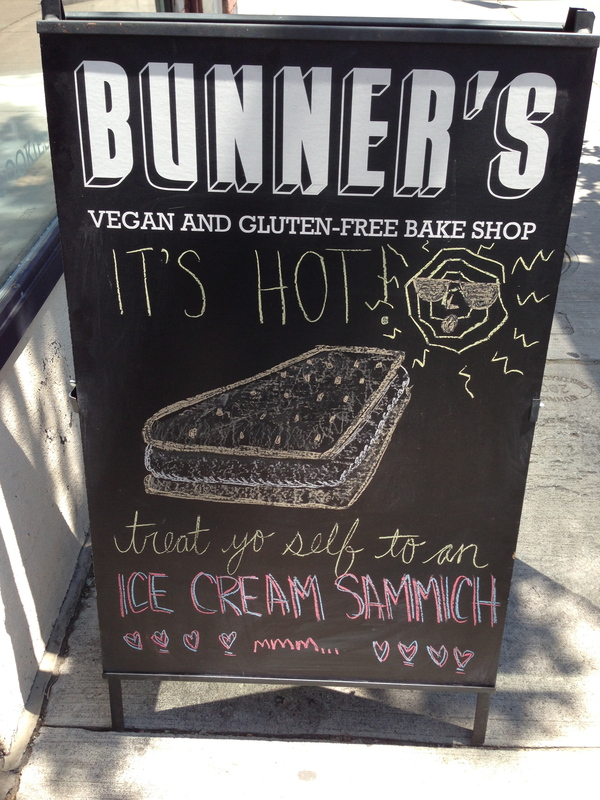 I had faith in this ice-cream sandwich because, well, it’s Bunner’s and they don’t mess around when it comes to gluten-free baking. Case in point: Their “fauxstess” cupcakes. 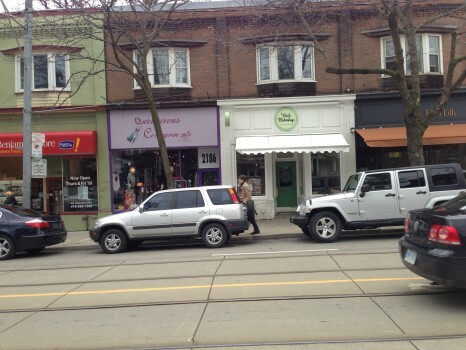 So Friday rolled into Saturday and we rolled into the Junction. She would have given it two thumbs up if she wasn’t holding her sammich in her other hand. 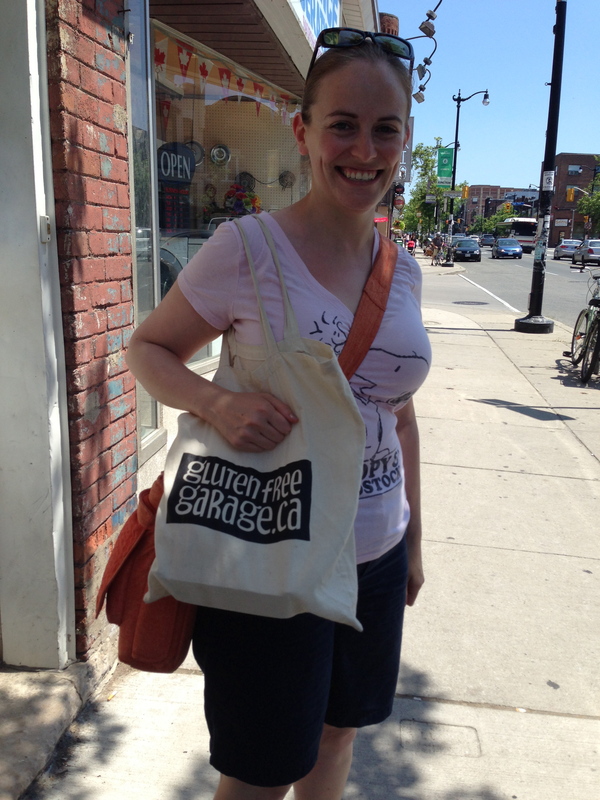 While Lily was living it up with her gluten-free ice-cream sammich, I spotted this happy woman coming out of Bunner’s sporting a GFG tote bag! 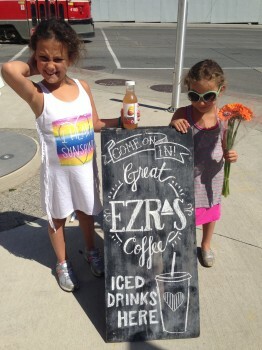 Move over sammich…this gal made my day! 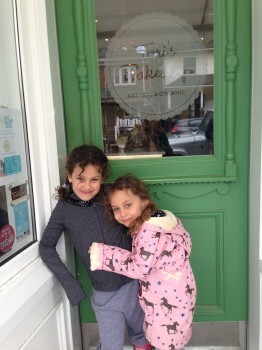 Posted in Bakeries we ❤, Happiness is..., Lily's corner, Tummy love. One hot day in the city, this little girl went to Live Market in Liberty Village. 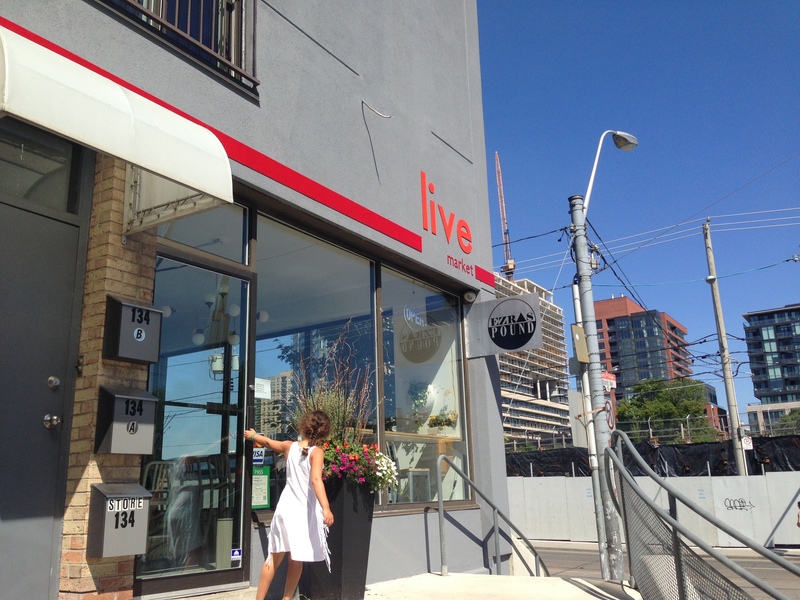 Little sister to Live Organic Food Bar on Dupont, the bright Liberty Village eatery is part cafe and part grab ‘n go, serving prepared items (salads, wraps, etc), food you can order at the counter (bowls, burritos, etc), bottles of fresh pressed juices, gourmet coffee and a selection of artisanal products—all vegan, organic and most importantly gluten free! 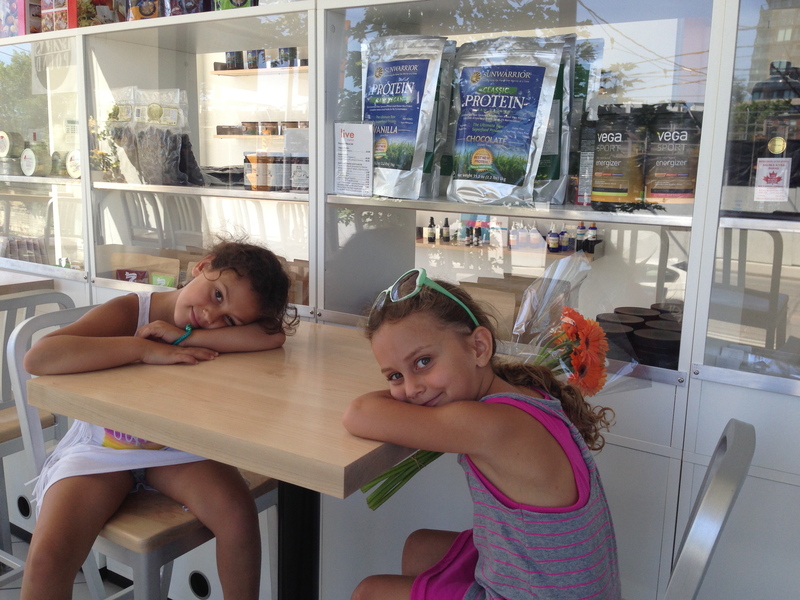 The girls took a seat while mama browsed. 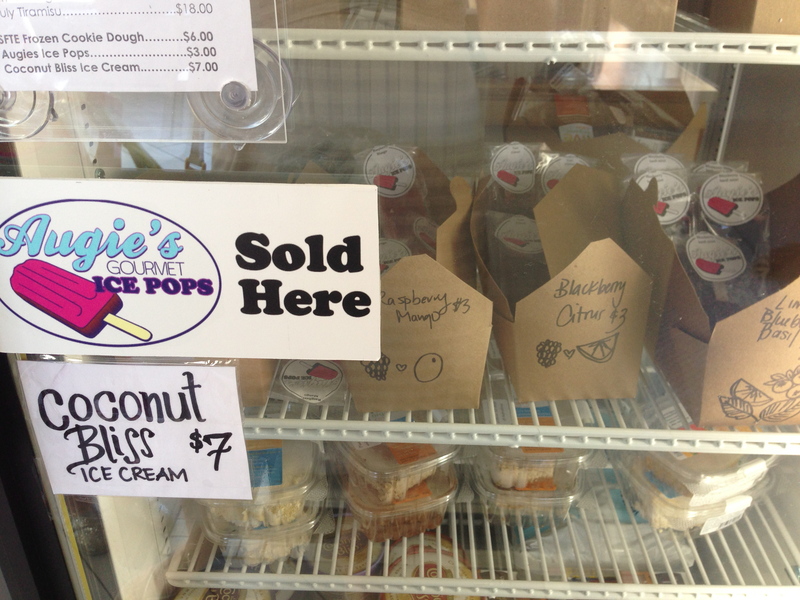 Augie’s Gourmet Ice Pops are in the house! Some other faves include: Sweets from the Earth frozen cookie dough, Bunner’s Supersonic cookie, Stasis Preserves, RawFoodz salad dressing and Chocosol dark chocolate. Wrapper’s delight! 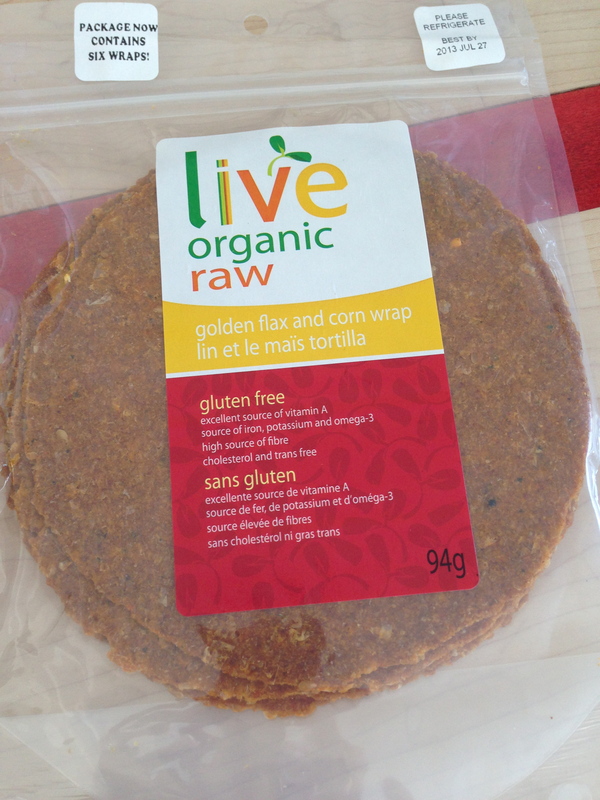 We bought Live’s flax and corn tortillas for our breakfast burritos: scrambled egg and cheese with avocado. Ezra’s Pound teamed up with Live to bring the best espresso in the city to Liberty Village. Lily refreshed with naturally sparkling Tonica Kombucha. 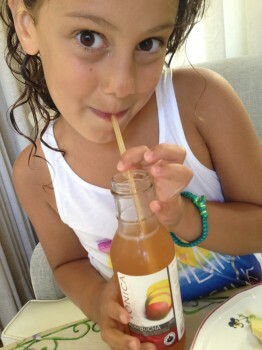 She’s mad for mango passion! Posted in Lily's corner, Products we ❤, Stores we ❤, Tummy love. 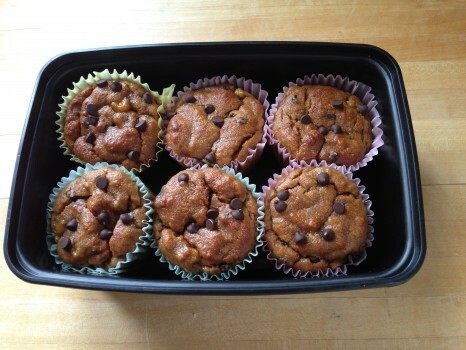 We baked these banana chocolate chip muffins today with JK Gourmet’s almond flour muffin mix. They were amazingly moist and, I’m going to use a word here I don’t use too often, scrumptious! 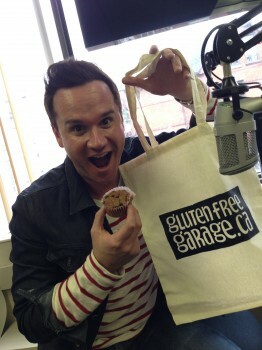 We were off to The Mike Chalut Show on 103.9’s Proud FM, gluten-free goods in hand. We felt kind of bad that we didn’t bring Mike his favourite— poutine—but he was thrilled with his muffin and GFG bag. 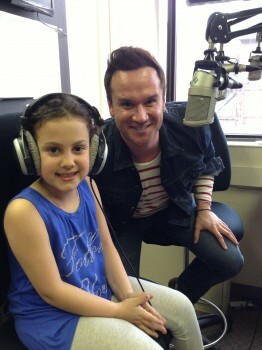 Tune in to Foodie Friday on 103.9 Pride FM! We’re happy to have JK Gourmet as a sponsor of the Gluten Free Garage! They sample like crazy at the event so don’t forget to hit up their table! Posted in GFG sponsor!, Lily's corner, Products we ❤, Tummy love. 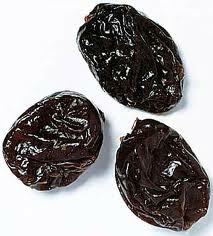 Yes, this blog post is about poo…and prunes. Our daughter Lily, who has celiac, has been dealing with constipation problems on and off since switching to a gluten-free diet. Sometimes she doesn’t have a bowel movement for a couple of days and her tummy gets big and round and she complains about stomach pain. We’ve been trying to get to the bottom of this (pardon the pun) for quite some time. Yes, she loves rice but it’s not like she eats it every day. She does eat lots of fruit and veggies. We put ground chia seeds and flax oil in her smoothies. She takes probiotics. She gets plenty of exercise. Both her gastroenterologist and her pediatrician recommended that she take Restoralax, a gentle laxative that provides relief of occasional constipation by bringing water into the bowel and softening the stool so it’s easier to go. We mixed the powder in her water for a couple of months and it certainly did the trick, but who wants their seven-year-old to be dependent on a laxative? So about a month ago, we substituted Restoralax for a prune a day and some extra fluids and I can’t tell you the difference it’s made! Posted in GFG exhibitor!, GFG speaker!, Guest blog, Lily's corner. 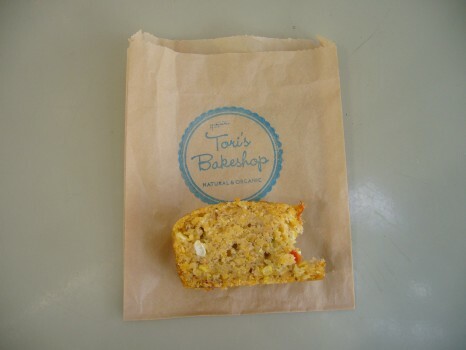 We paid a visit to one of the new vendors who will be at the Gluten Free Garage: Tori’s Bakeshop, a sight for sore eyes on Queen East in the Beaches. They’ve also perfected the gluten-free version of this Canadian staple! 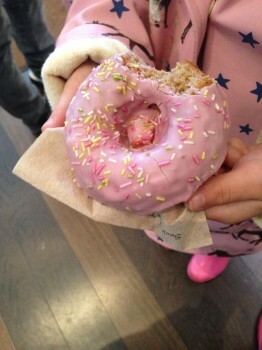 Franny goes pink-a-licious with sprinkles on top. I have my eye on a chocolate glazed. On a more savoury note, this is the Best. Cornbread. Ever. Sisters and official GFG taste-testers give Tori’s fresh-baked goodies four thumbs up! 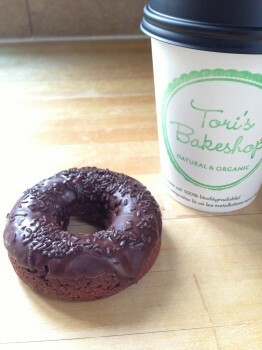 Tori’s is not a gluten-free bakery but they take enormous precaution to ensure that cross-contamination does not occur. They are well aware of the importance of this, they have an extensive list of practices and strategies about it for their staff, and they clearly list all ingredients on a tag next to each baked good. 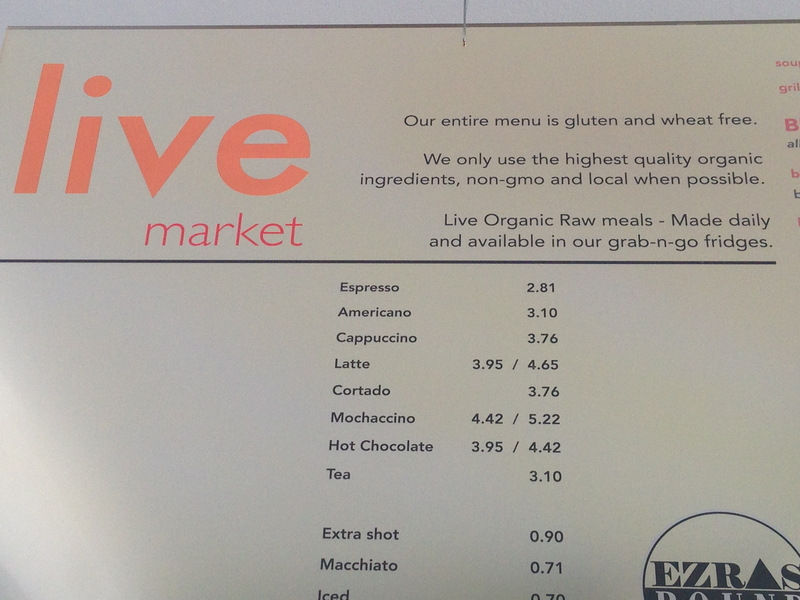 As such I consider their bakery to be celiac friendly. 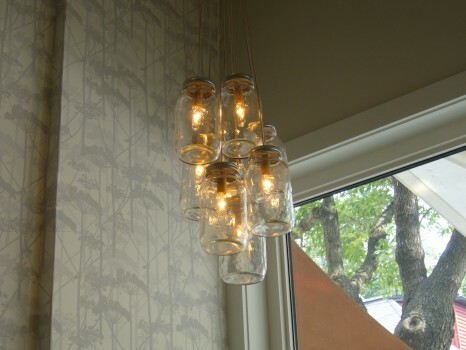 Lily has enjoyed their delicious baked goods on several occasions and has felt nothing but tummy love. 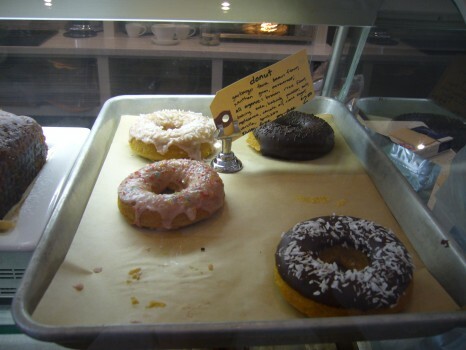 Posted in Bakeries we ❤, GFG exhibitor!, Happiness is..., Lily's corner, Tummy love.